As a conceptual illustrator, I work with ideas. Finding an idea is a very intuitive process and sometimes unpredictable. Since I became an illustrator, I’ve experimented with different workflows until I found one that works for me. Today I’m sharing the process of how I find ideas for my illustrations. 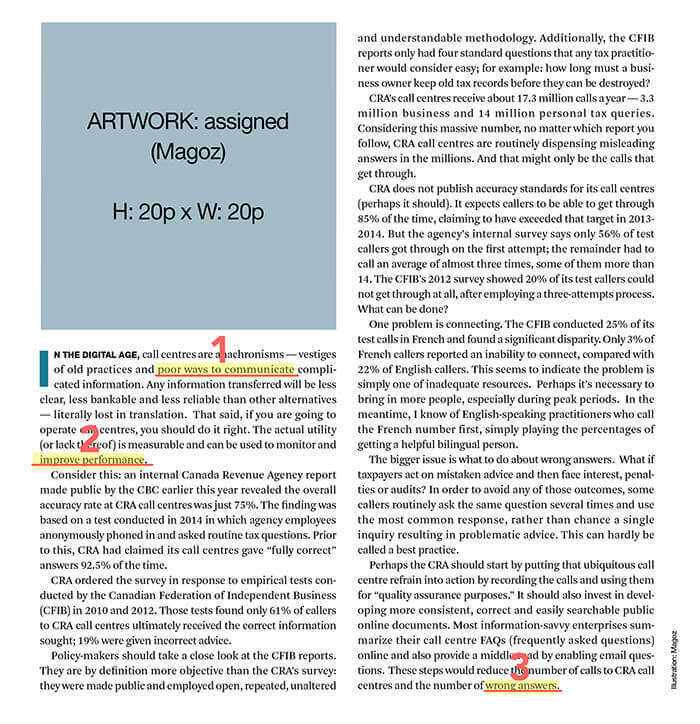 When I work for newspapers and magazines, I usually have to extract ideas from a given text. I focus on the main points of the story, but I also pay attention to details of the text that have the potential of being a good creative starting point. Other times, usually when I work for advertising, there is a brief that gives me a few general topics. In these cases, I sum up and break the main subject into more specific concepts. The second part of the process is establishing creative paths that may lead to the idea. I do that using a net of concepts. This conceptual net is primarily a mind map where I list related words, synonyms, and concepts. I connect different terms using arrows. The connection between two or more concepts generates ideas. These ideas are the seeds of the ideas behind my illustrations. I use MindNode to create my net of concepts. When I identify an idea that might work, I start sketching. Sometimes my intuition tells me almost immediately that the idea will work. Other times, the sketch shows many problems that I have to solve to make the idea work. And sometimes, the sketch confirms that the idea won’t work and it’s time to find another one. The sketching process is also valuable because it generates additional ideas by itself. I use this system as a guide, but I trust my intuition the most. I sometimes skip some of the steps because I get a hint of an idea at an early stage. I re-use conceptual nets and sketches for similar future assignments. After some trial and error, I am very comfortable with this system, and it helps me a lot to find ideas for my illustrations. Which method do you follow to find ideas? As always, I would love to hear your experiences in the comments! PS: My online course Strategy & Business for Illustrators is now available for pre-order! Notify me. You can also subscribe without commenting. Instead of using a mind map I need to brainstorm, usually with words, ideas and emotions related to the text until I get something that relates to me personally. In that moment I begin to draw. In some cases, if I get visuals directly from the text, I brainstorm drawing. If that doesn’t work then it’s back to the words brainstorming. Thank you for sharing as always. I will try the mind map. Thanks for sharing your process, Paola! And how do you brainstorm? Using lists? Using lists o maybe if some of them are related, using arrows. I just write the words and phrases that flit into my mind as I read the text, and follow the path they lead me. I give my mind free rein and then regroup, reading over what I have written. If I am not satisfied I may try to follow the path a little bit more or take another one. It is not as ordered as your mind map! Very interesting process. Thanks for sharing, Paola! Very interesting. I have a questión about your process. What do you do if you arrive to a point that your mind is blocked? A point that, once you have done your net of concepts, your mind don’t create nothing to sketch. Although, first, I’m thinking that I should ask you if your mind get blocked in any part of the process. Thanks for your good question, Jose. If I’m blocked at some point (it happens sometimes), I keep looking for new words and concepts that bring me new perspectives. If it doesn’t work and I’m still stuck, I start drawing some of the ideas even if I know that they are bad because they might bring new ones. If I can afford it, I put aside the assignment and start with another one or just go for a walk, play chess or do any other kind of different task. It helps a lot to clear my mind. Thanks for sharing yours methods! I hope some day have good ideas and good ilustrations too. Thanks for your kind words, Marcelo! Is your final design done in Photoshop? I am learning Photoshop skills. I love developing cartoons but need to develop them on computer. Should I get some sort of tablet – which soft ware do you recommend which is IT friendly? Hi Marguerite, thanks for your comment! I create my finals in Illustrator. I used Photoshop for many years, but I recently switched to Illustrator. I covered my switch in those two articles 1 and 2. The hardware and software depend on your needs. I recommend you starting with a cheap Wacom graphic tablet and a computer or directly with an iPad. I use an iPad Pro 9.7″ and Procreate app for my sketches, and I’m very happy with it. If you are just starting the best thing you can do is to experiment with different platforms, programs and workflows until you find the one that works best for you. I have several articles on the blog covering those topics, hope they help! Thank you very much, Maria! I’m glad the article came at the right time, and you found value in it. Thank you for another peek into you process. It’s always inspiring and insightful; and reassuring to see how other creative people approach projects. You are very ordered! Impressive! While I definitely recognise and share some of your strategies, I would say I’m much less ordered. Chaotic, I think is the technical term for my workflow! I used to get through pages of A3 layout paper, but now thanks to apps like Notability, I can write and type and draw freely and quickly, digitally, which suits my free-flowing process. Hi Damon, thanks for sharing your process! I’m most of the time in the nº4 of your list, and a few times in the nº6. I suppose that’s the norm for an artist. That’s why I try to take it easy and be kind to myself. Sometimes it’s just a matter of time, and you see your work with different eyes! Thank you Magoz! Very insightful. 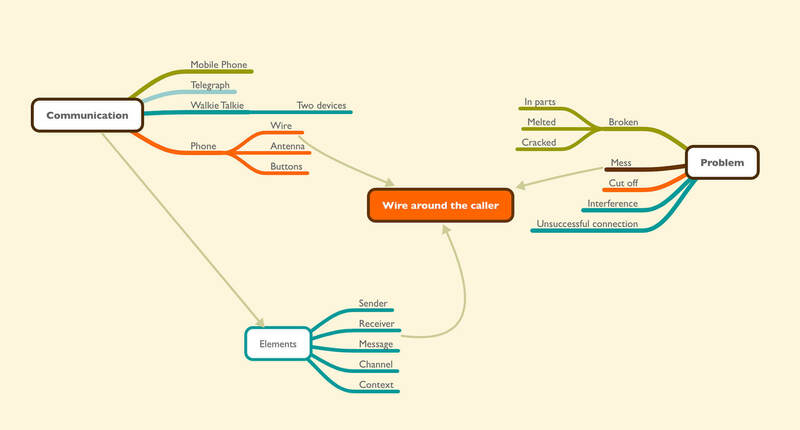 I have only recently started using mind maps when brainstorming too. Could you talk about building up your client base? I know you put out a magazine (mag-oz-ine?) for a long time. Did that help you in organizing your system? Hahaha mag-oz-ine, that’s a good name :-) It didn’t help to build a client base, but taught me many other things. – My first steps in the Illustration business. – How to build a client list with this spreadsheet. I dedicate several lessons to get assignments in Illustrators Essentials, the online course I’m working on. I hope to have it ready in the next weeks.